Implementing your online strategy (e.g. email, social media, websites, etc.) to drive revenue event-wide. Sell more tickets, raffles, sponsorships, raise bids and more! Experts agree that you must tell a potential contact something a minimum of 7 times — and more like 13 — before they “hear” what you have to say. That means you must share event dates … auction items … activities … sponsorship opportunities … advertising pieces … donation dates … a minimum of SEVEN and up to THIRTEEN times before anyone starts to “get” what you have to say. How can that even be done? Especially given so many people’s supposed aversion to email? Surprise — it’s super easy! And this is where you learn how to do it all. Watch what happens when you do marketing right. The semi-interested, lukewarm contacts on your email list start becoming super-interested in your auction. And once you get them there? Whoo hoo, sweetheart! There are ALL KINDS of ways to get people to open their wallet once you’ve got them to your event. But it all starts with getting those people to attend. It’s called marketing. How to generate excitement about your auction before the event. Increase attendance, boost sponsorships, get more donations and more — simply by running your marketing properly. See dozens of good and bad marketing examples from other auctions. Model the best ones (photos, e-blasts, screenshots, etc) to save time. Watch how I rewrite real-life subject lines used by nonprofits and turn them into more compelling content for the reader. Structure is king. You’ll learn how to structure your email blasts in both content and timing of the blasts. Compare your existing marketing efforts with some of the top events I’ll show you … and then start making changes. Email marketing works whether you’re using text-based or HTML emails. You’ll see scripts for both. WORTH KNOWING: I think that a general lack of marketing and overall confusion on how to promote an auction is a huge problem with most nonprofit auctions. Text-based email string with 6 pre-written emails. Model these for your own event. Loads of examples of actual emails that went out to promote auctions and led to increases in ticket sales and revenues. BONUS: Auction Marketing Promotional Calculator. 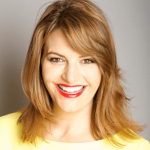 This is a downloadable Excel spreadsheet that will create a recommended online marketing plan for you, simply by popping in your auction date. 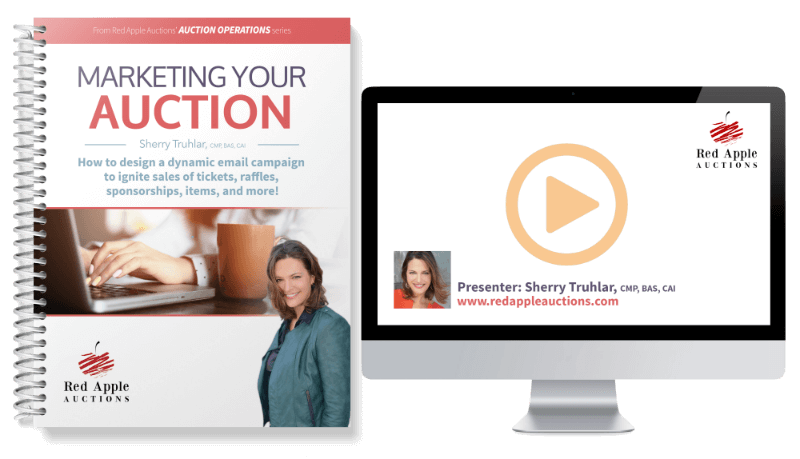 The calendar will suggest the days you should be sending emails to donors, sponsors, volunteers, and more, starting a year in advance of your auction but concentrated most heavily in the 6 months before event date. A training video is included to ensure you get the most out of this fabulous tool. Your small-shop nonprofit (or school) doesn’t have a full-time PR person or agency to manage marketing so someone in-house has got to manage it. You have a volunteer interested in “helping with publicity,” but she’d appreciate some guidance in what to do. You’ve got some fun auction chairs whose personalities light up the room. If everyone knew them and their passion for your cause, more people would come. Benefit auctioneer Sherry Truhlar helps charities across the USA, averaging more than one benefit auction per week. Dozens of other clients are supported annually through consulting, and thousands have participated in her free and fee-based auction webinars. Prior to launching her business, Sherry spent over a decade working for two of the world’s largest companies, General Electric and Koch Industries, in marketing, sales, and public relations roles. She has taken those experiences and the knowledge she’s gained in building her own business to teach nonprofit auction volunteers how to ramp up their audiences through the use of online marketing. 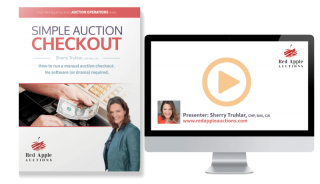 If you’ve spent any time on this website and enjoy the content and style, you’ll LOVE this course as it teaches you how using the same approach in your auction. You’ll immediately start to bond people to your cause when you change your marketing approach.